Location: The western edge of Piazza del Popolo, a bit south from the Flaminio metro stop. 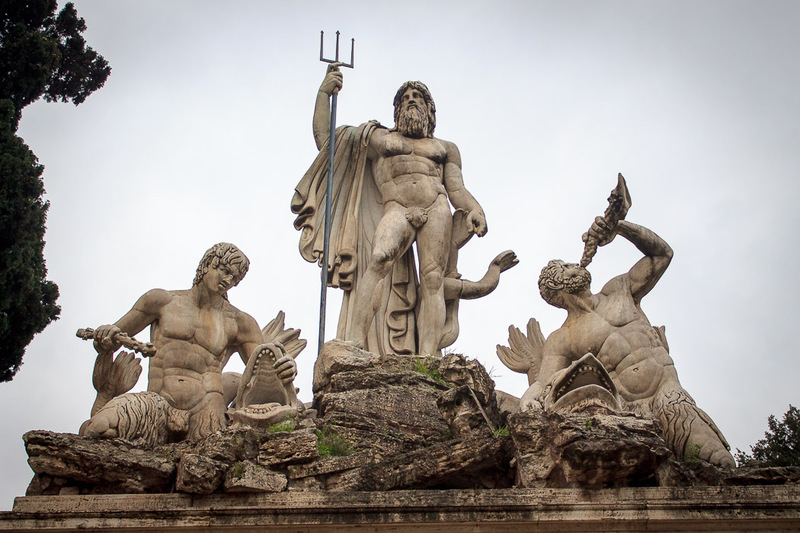 The Neptune Fountain, designed by Giovanni Ceccarini and constructed in 1822-23, and found on the western side of the Piazza del Popolo against the boundary wall of the piazza features the sea god Neptune and his trident in the center, flanked by two tritons holding the mouths of dolphins open. A small pedestal fountain is below the statues, which overflows into a large pedestal fountain beneath it, which overflows into a large basin beneath it. At the top of the edges of the basin are sets of two fish with their bodies twisted around each other. 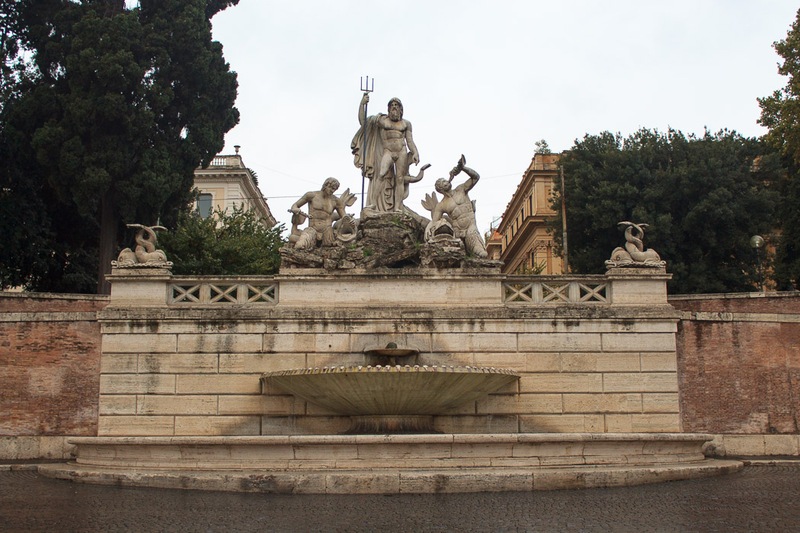 Don't confuse this fountain with the Fountain of Neptune in Piazza Navona. See all Neptune Fountain photos.